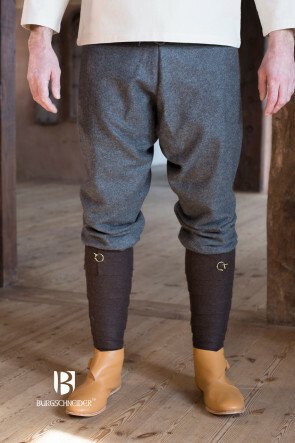 The warägar associated founds in the Thorsberg Moor and Haithabu show a very simple form of pants with pronounced buttocks rag that we imitated in our Thorsberg Trouser. 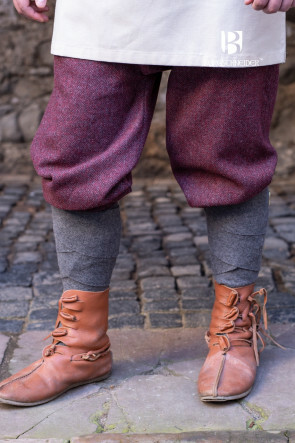 The form of the so called Rus Trouser were not backed up. 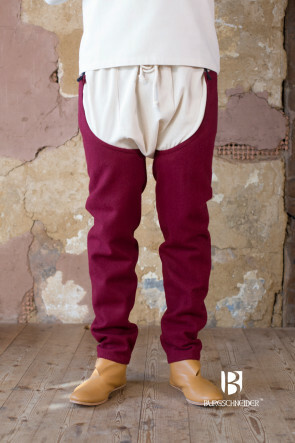 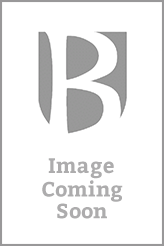 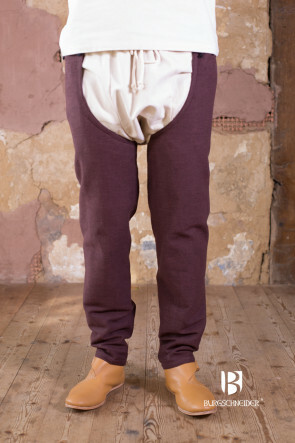 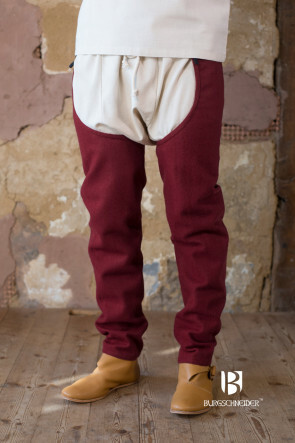 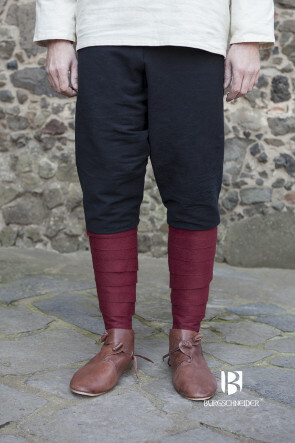 The trouser has a distinguished thigh area and were worn with leg wraps because of that it has a pludereffect. 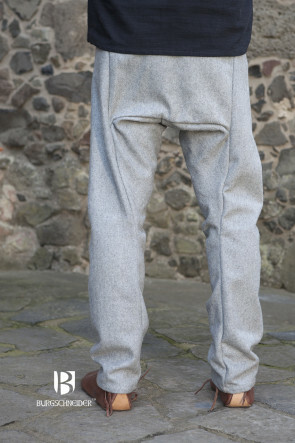 How that effect were created is unknown. 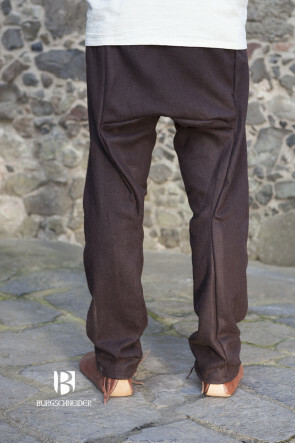 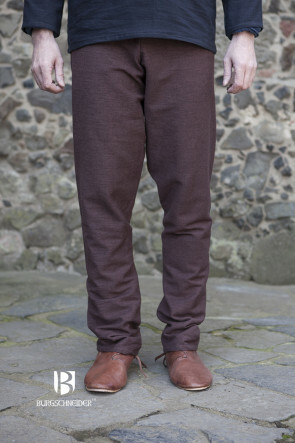 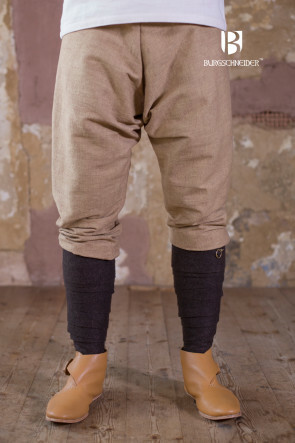 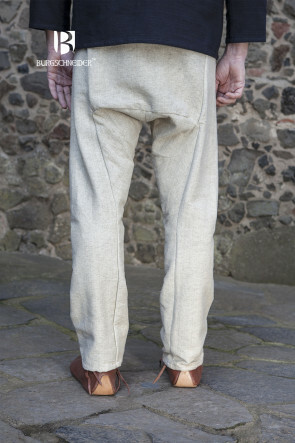 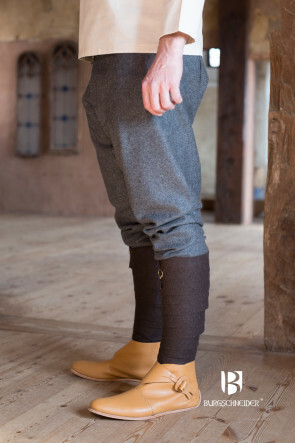 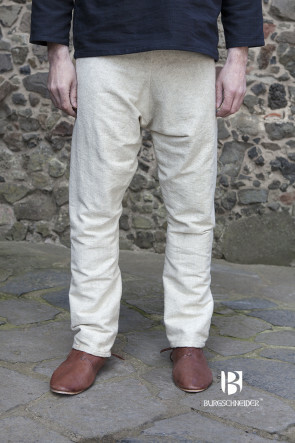 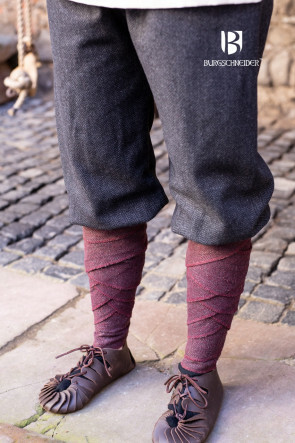 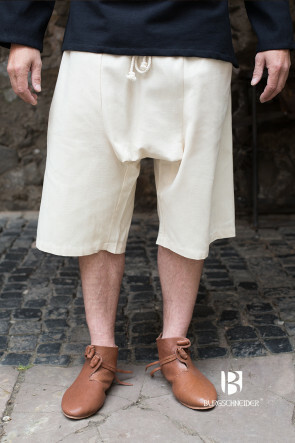 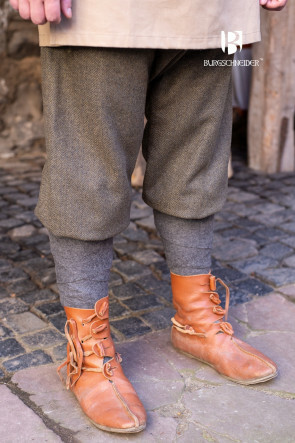 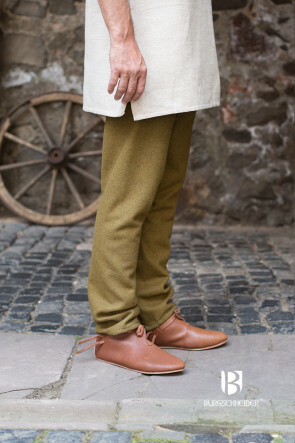 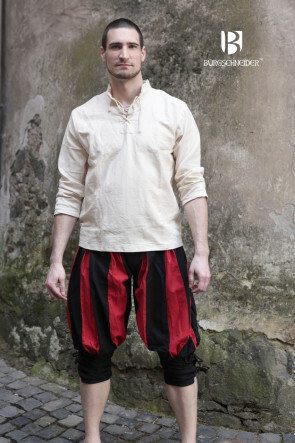 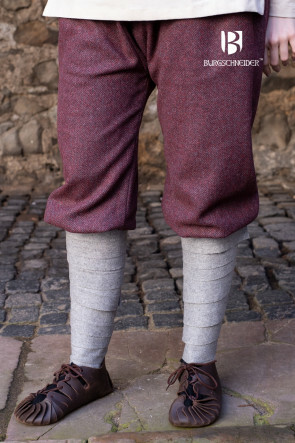 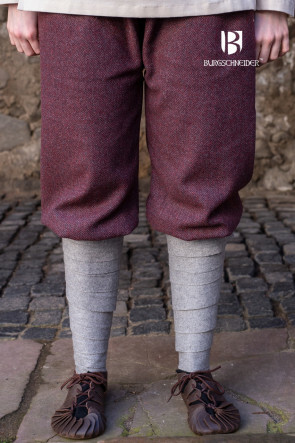 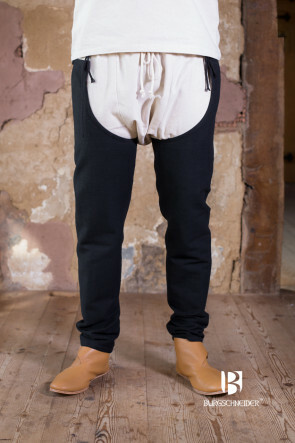 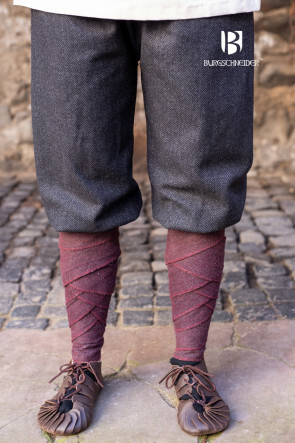 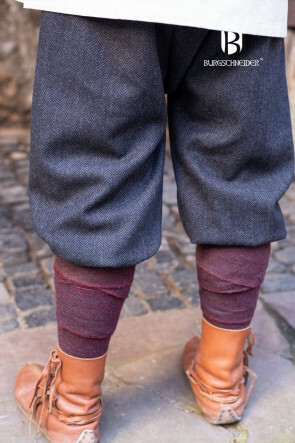 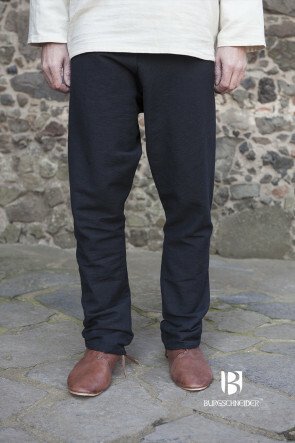 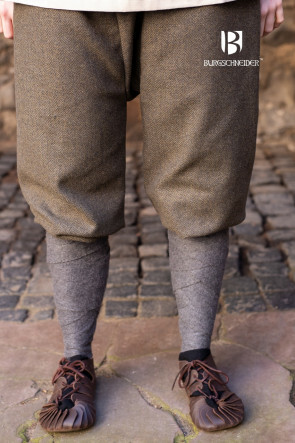 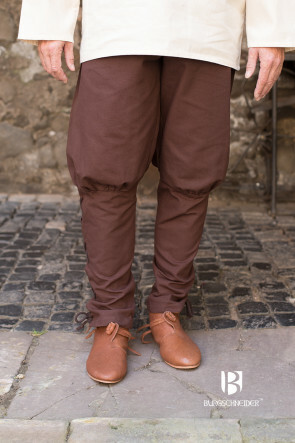 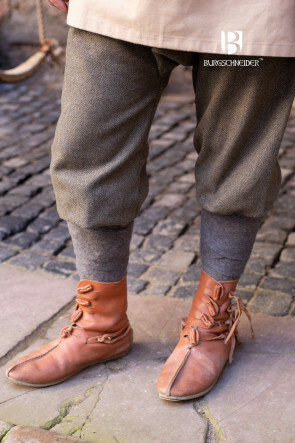 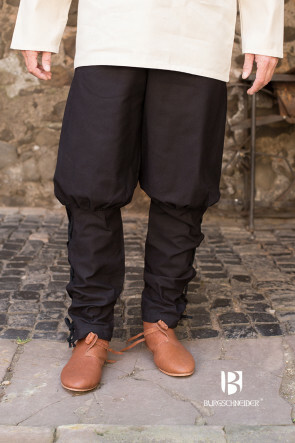 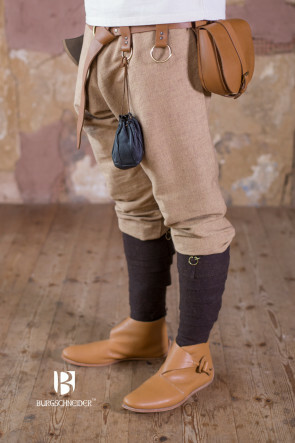 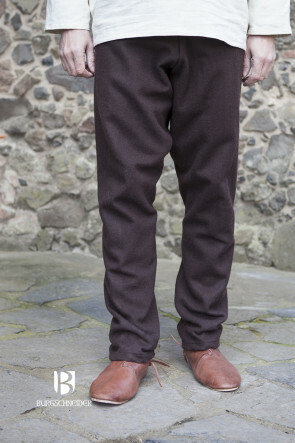 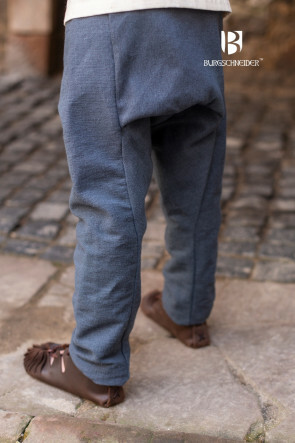 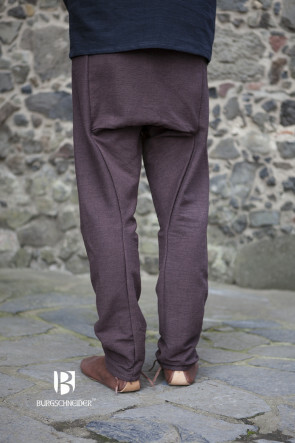 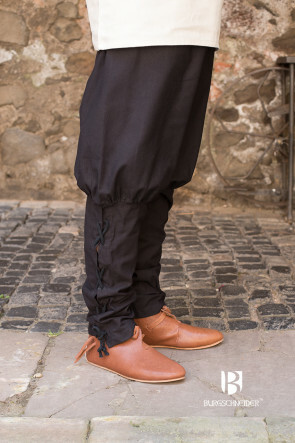 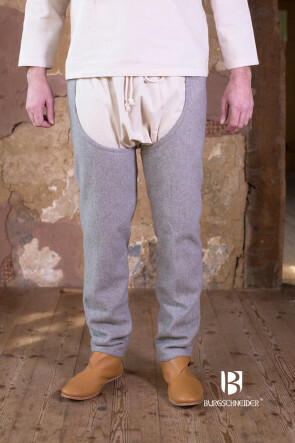 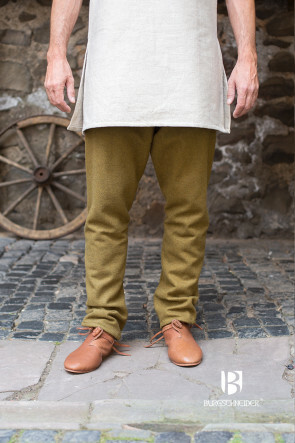 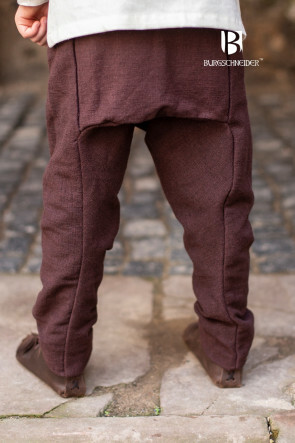 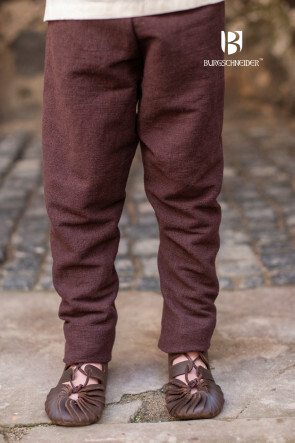 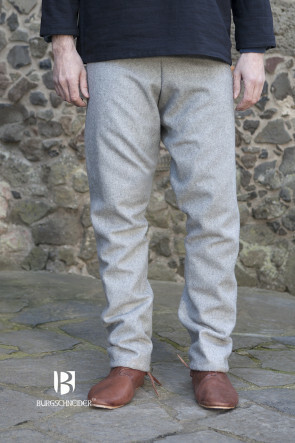 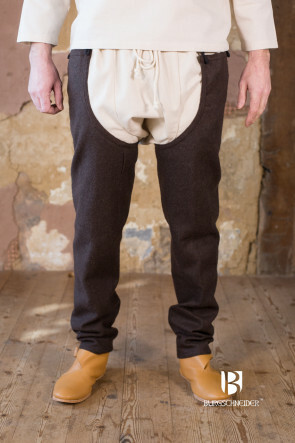 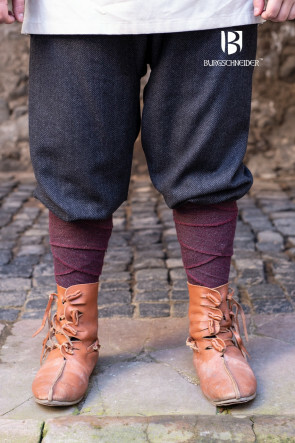 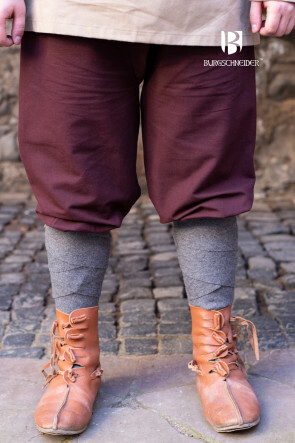 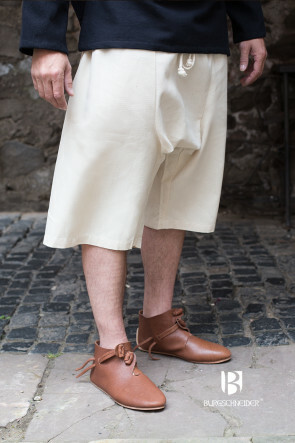 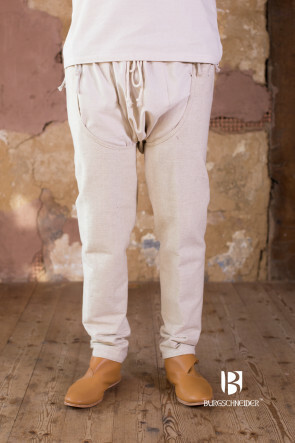 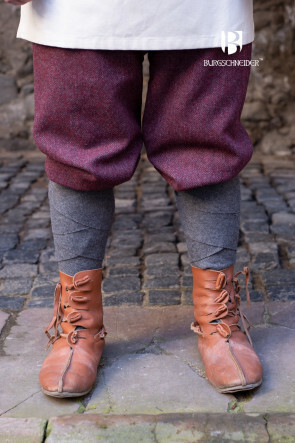 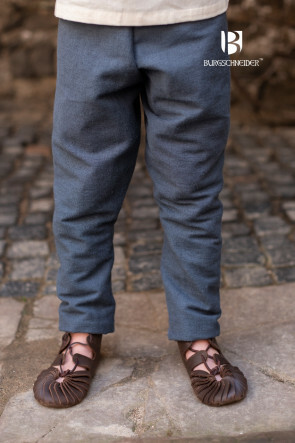 It is possible that the original Rus trousers are just wide straight cut trousers which were worn with leg wraps. 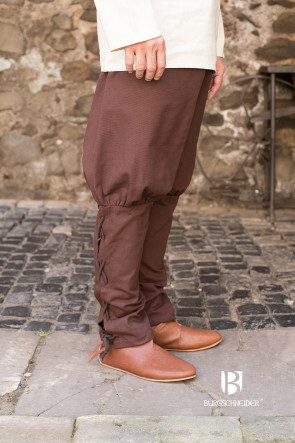 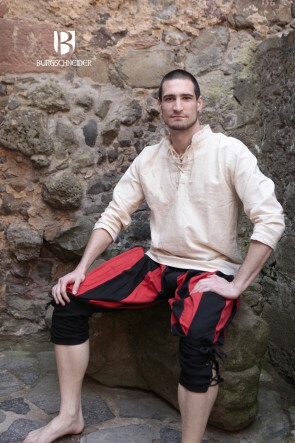 On medieval markets one can find a model which has a tight calf area and wide thigh area. 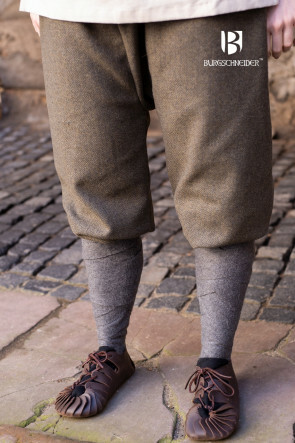 In Skjoldehamn Norway a trouser out of the 10. century was found, it had a very simple leg form combined with drawstring on the belly.